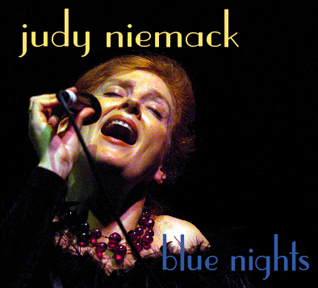 Judy Niemack has released so many outstanding CDs that it seems unfathomable that this 2007 release for Blujazz is her first U.S. recording since Heart's Desire and only her third U.S. album overall. But she makes up for lost time with a typically adventurous outing, backed by guitarist Jeanfrançois Prins (her husband), pianist Jim McNeely, bassist Dennis Irwin, and drummer Victor Lewis, with guest appearances by saxophonist Gary Bartz and trumpeter/flügelhornist Don Sickler on selected tracks. Niemack's sassy take of Duke Ellington's "I Ain't Got Nothin' But the Blues" and her scatting in unison with Prins' guitar in a romp through "Bluesette" open the disc with a bang, but she cools things down with her intricate interpretation of Bill Evans' "Interplay," for which she supplied delightful lyrics. "A Crazy Song to Sing" has more of a vocalese quality, describing the appeal of performing Thelonious Monk's "Mysterioso," punctuated by Bartz's smoldering alto sax solo. "In a Sentimental Mood" is set up by an intriguing blend of guitar, flügelhorn, and alto sax, with Niemack delivering a captivating performance. Judy Niemack has been one of the most underrated jazz vocalists of her generation, and this brilliant effort should awaken critics who have unjustly overlooked her consistently excellent work."